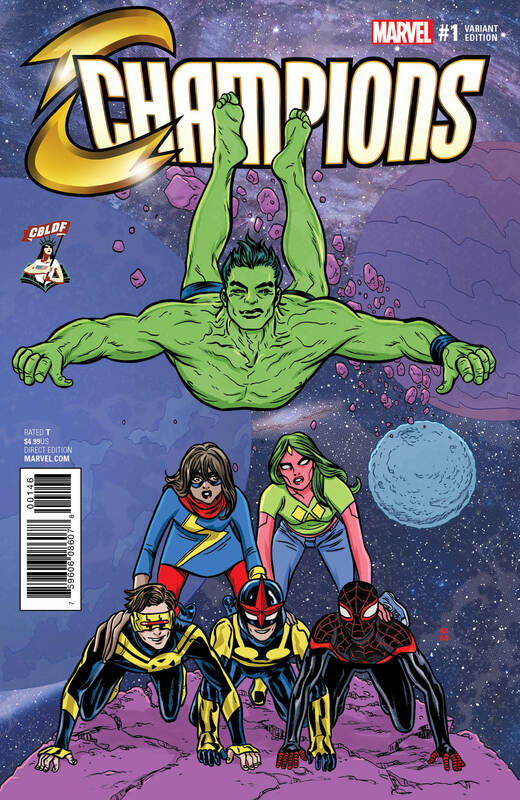 Custom CHAMPIONS #1 Variant Covers Bring Marvel’s Newest Team to Your Local Comic Book Store! 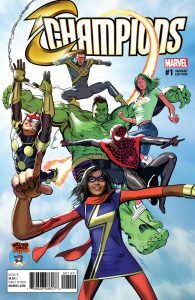 Ms. Marvel, Viv Vision, Cyclops, Miles Morales, Nova and the Totally Awesome Hulk are exploding onto the scene this October as Marvel’s newest teen team supreme. 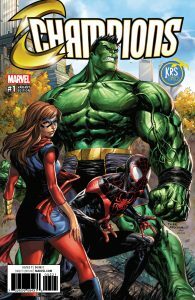 And they’re coming at you in the highly anticipated new series CHAMPIONS #1 – from Eisner Award winning writer Mark Waid and Eisner Award nominated artist Humberto Ramos! To celebrate the release of this historic 1st issue and the kickoff to the brand-new Marvel NOW! initiative, Marvel has partnered with valued retail partners across the globe to producecustom Champions #1 variant covers! 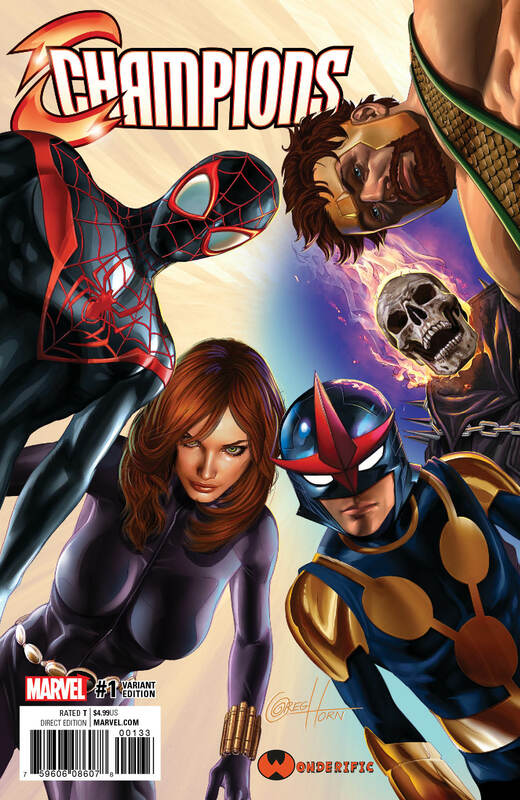 Participating retailers have the opportunity to showcase Marvel’s newest super team on covers that are exclusive to their stores. Want to know more? Fans are encouraged to check with their local comic book retailers for more information about availability of these can’t-miss variant covers. Plus, look for more exclusive covers to be revealed soon! All it takes is six young heroes and you can change the world. They are the Champions – and they’re just getting started! 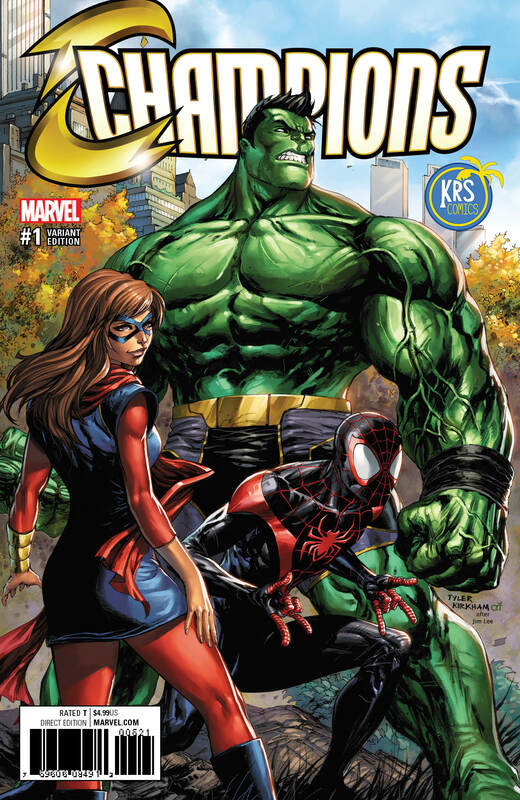 Don’t miss the launch to the highly anticipated new series when CHAMPIONS #1 explodes onto the scene this October. 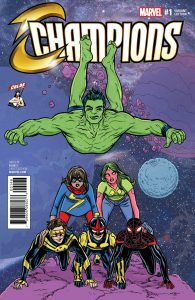 Inquire with your comic shop about Champions #1 Launch Parties!